This is a stunningly beautifull full-stock AND EXTREMLY WELL-MADE RIFLE. It is made in beautifull cherrywood and 58" o/a. The barrel is 42 3/4" and the lock marked "Ketland" appears to be in original flint but I cannot guarantee it. 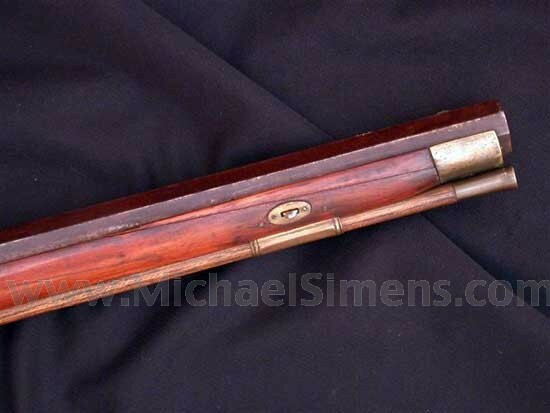 It has a perfectly original, checkered wrist and some delicate silver wire inlaid scrollwork rear of the barrel breech. There is a splinter of wood on each side of the barrel forend cap that has been re-glued, and there are no other repairs or alterations. This repair should be redone. Heavily rifled barrel of 60 - 62 caliber. 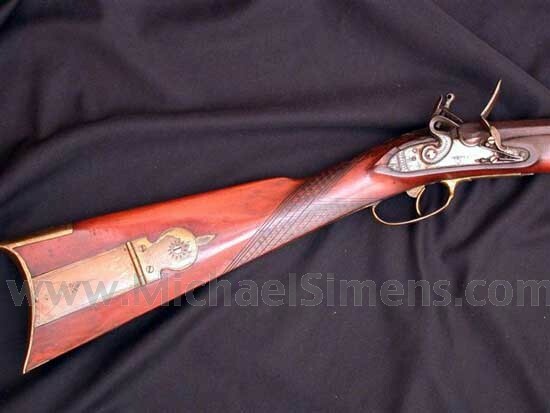 This is the third of 3 almost identical rifles that I have come across, and several renowned dealers, including Neil Gutterman and the late William Guthman have expressed to me that these Pratt marked rifles are quite possibly Massachusettes Militia Rifles. 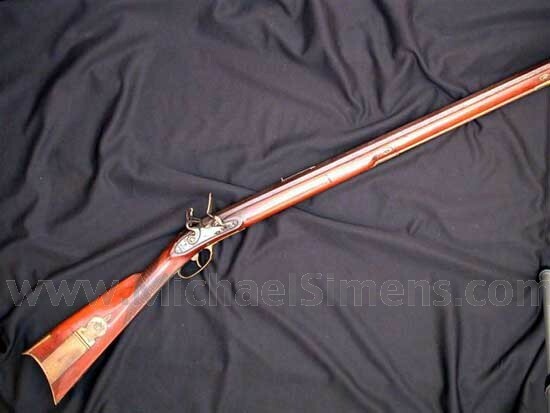 Alvin Pratt of Sutton, Massachusettes is thought to be the maker of these as well as Muskets for the United States under the contract to independent makers of 1808.